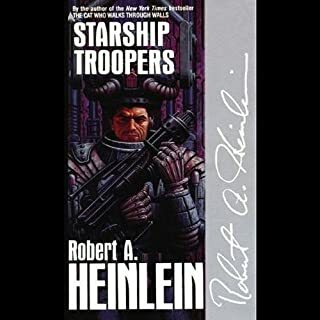 This story is Heinlein's finest. The story that is written, is unlike the horrible Hollywood production. The book is so good. The movie not so much. 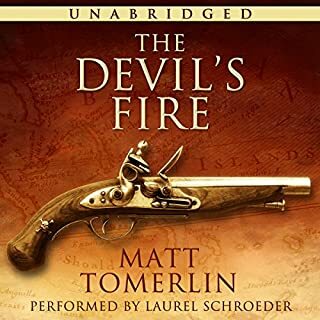 I wanted to love listening to it, HOWEVER, the narrator was one of the worst I've heard one audible. He has no emotion whatsoever in his reading. He pauses where there shouldn't be a pause. When there are moments you know it would be intense, he still just dribbles on in his boring-nonemotional-monotone voice. I had to shut it off because its basically unlistenable. If I could get a refund for this audio book I would. So with that said, buy the book and read it yourself, don't get this audio version. Here is an historic adventure of extraordinary power waiting to sweep you away to exotic lands as one of the most popular writers of our time conquers new storytelling worlds. Louis L'Amour has been best known for his ability to capture the spirit and drama of the authentic American West. Here, he guides listeners to an even more distant frontier -- the enthralling lands of the 12th century. What did you love best about The Walking Drum? The history comes alive with L'Amour's writing. This isn't his typical book but it's definitely his writing style. So good. Same question as above. Refer to previous answer. 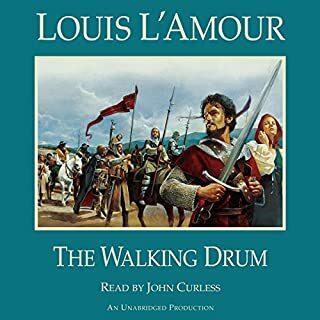 If you could take any character from The Walking Drum out to dinner, who would it be and why? L'Amour actually. I would love to hear why he wrote this and how long he researched it. This was the first L'Amour books I ever read. It was the first really long book I ever read. And it is ultimately the reason I became a writer and love to read. I highly recommend this book. The God of the universe - the Creator of nitrogen and pine needles, galaxies and E-minor - loves us with a radical, unconditional, self-sacrificing love. And what is our typical response? We go to church, sing songs, and try not to cuss. Are you hungry for an authentic faith that addresses the problems of our world with tangible, even radical, solutions? God is calling you to a passionate love relationship with Himself. Because the answer to religious complacency isn’t working harder at a list of do's and don'ts - it's falling in love with God. It was okay. I mean it's always good to have reminders about God's love. But the book was very elementary. It's written for new Christians I think. Would you be willing to try another book from Francis Chan? Why or why not? 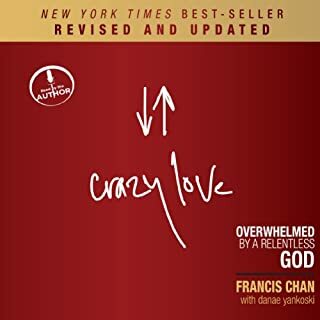 Did Crazy Love (Revised and Updated) inspire you to do anything? Not really, which is why I was disappointed. I heard so many amazing things from people about it, that once I heard it, it was kinda boring. Jack Chisholm is 'the people's pastor.' He leads a devoted and growing mega church, has several best-selling books, and a memorable slogan, 'We have got to do better.' Jack knows how to preach, and he understands how to chastise people into performing. What he doesn't know is anything about grace. This year, when it comes time for the Christmas sermon, the congregation at Grace Cathedral will look to the pulpit, and Jack will not be there. Of course, they will have seen plenty of him already - on the news. Brennan Manning is amazing as a writer. 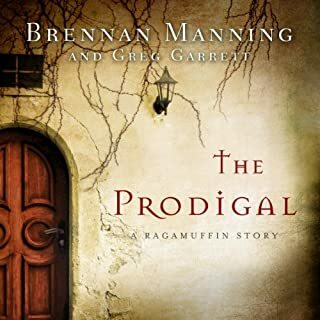 What disappointed you about The Prodigal? Haven't even made it through chapter two the narration is so bad. His fluxuations were off. He'd emphasis the wrong parts of the sentences. His voice would pitch at weird places. His voice is awesome but his reading is lacking. Yeah it Brennan Manning. It's awesome. It's just the narration is no good. Intense, engaging, suspenseful and fun. 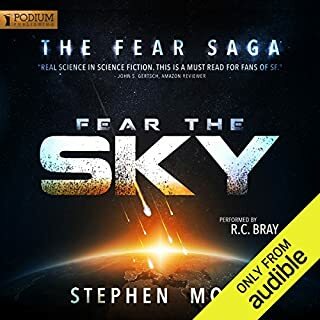 Would you consider the audio edition of Fear the Sky to be better than the print version? Absolutely. R.C. Bray does an amazing job. What was one of the most memorable moments of Fear the Sky? What about R.C. Bray’s performance did you like? Everything he does when reading is fantastic. I have a auditory crush on the dudes voice. It left me wanting more. I had to wait about six months for the second one to be done. Anything by Stephen Moss and anything by R.C. Bray are bound to be epic. I highly recommend. R.C. 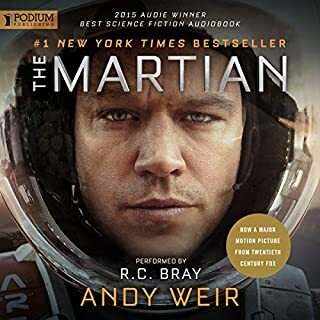 Bray and Andy Weir = winner. What about R. C. Bray’s performance did you like? Everything about R.C. 's reading was fantastic. I've heard several. Oops by him and this one is at the top. I listened to this book before the movie came out. So naturally I was disappointed with the film because they left out so many details that Andy made so incredible. And hearing R.C. First then seeing Matty Damon, well they didn't match. Matty was the wrong selection for the part. R.C. was perfect. The waters of the Caribbean run red in this brutal tale of revenge during the Golden Age of Piracy. Katherine Lindsay, the pampered young wife of a wealthy ship captain, has left her leisurely life in London to accompany her husband to America. So far, their journey has been uneventful, even boring. But when ruthless pirates suddenly storm the ship to plunder her husband's riches, Katherine is one of the treasures they steal, sparking a bloody chain of events that will alter the course of piracy in the Caribbean forever. I think having someone else read this is a good place to start. I don't wanna hear a pirate book read by a woman's soft voice. Would you be willing to try another one of Laurel Schroeder’s performances? Dug Sealskinner is a down-on-his-luck mercenary traveling south to join up with King Zadar's army. But he keeps rescuing the wrong people. First Spring, a child he finds scavenging on the battlefield, and then Lowa, one of Zadar's most fearsome warriors, who has vowed revenge on the king for her sister's execution. Now Dug's on the wrong side of the thousands-strong army he hoped to join - and worse, Zadar has bloodthirsty druid magic on his side. 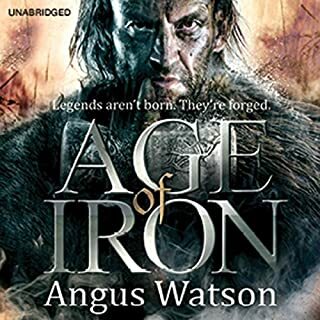 Would you consider the audio edition of Age of Iron to be better than the print version? What about Sean Barrett’s performance did you like? Sean Barrett did really well at different fluxuations and tones in his voice for different characters. The speed of his voice changed in the right parts which added to fast and slow scenes. Sean did really well and I will be looking for more books by him. 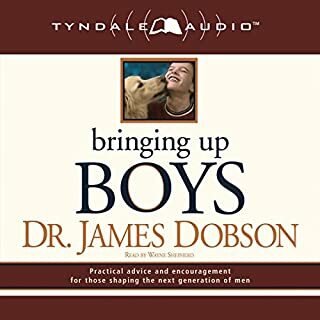 In Bringing Up Boys, Dr. James Dobson, America's most trusted authority on family issues, tackles these questions and offers advice and encouragement based on a firm foundation of biblical principles. Bringing Up Boys is a must-read book for parents, teachers, social workers, youth leaders, and counselors--anyone involved in the challenge of turning boys into good men. What disappointed you about Bringing Up Boys? I found this, first off dry and second, outdated. If you're looking for books on kids look at Danny Silks, "Loving Your Kids on Purpose". 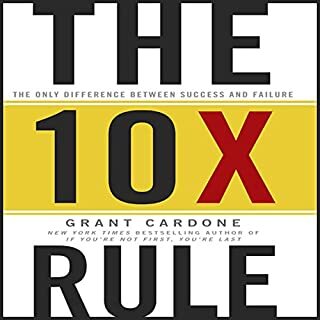 What would have made The 10X Rule better? Not letting the author read it. Has The 10X Rule turned you off from other books in this genre? This was nothing more than a pretentious man reading his own book because he likes the sound of his own voice.